In 1992, Robert Biondi and John Rocco Roberto, two longtime Godzilla fans who wanted to share their knowledge of the Godzilla film series with other fans in the west, teamed up with small-time Canadian publisher J.D. Lees to create G-Force, a bi-monthly newsletter devoted to fans of Japanese science fiction fantasy. With their talents pooled together, the three men slowly evolved G-Force into G-FAN, a professionally published bi-monthly magazine. Filled with historical articles, fan fiction, art and news from Japan, G-FAN quickly became America’s leading Godzilla magazine, reaching over 2000 readers. In 1994, after two years in publication, John Rocco Roberto decided that it was time for the “three heads of G-FAN,” as J.D. Lees had coined them, to finally meet. After much planning the City of Chicago was chosen as the mid-way point between the three publishers, and in the middle of a hot summer weekend, 30 fans of Japanese Sci/Fi met at a Howard Johnson just north of the city limits. The seeds of an convention were planted. That following August, at the Radisson Hotel in Arlington Heights, G-CON’95, became the first ever Japanese Science Fiction Fantasy convention to be held on American shores. Over 700 people crammed the dealer and exhibition rooms, enjoying informative discussions and film presentations. As G-FAN’s popularity continued to grow, 1995 also saw Daikaiju Publishing release its first soft bound Godzilla reference book, The Illustrated Encyclopedia of Godzilla. Written by long time Godzilla expert Edward Godziszewski, The Illustrated Encyclopedia of Godzilla quickly became a North American standard for all books on Godzilla that followed. Unfortunately a licensing disagreement between Toho Studios and Daikaiju Publishing caused the dis-continuation of the publication. In 1996, concerned over the lack of Japanese Sci/Fi television coverage in G-FAN, John Roberto teamed up with Japanese film historian Guy Mariner Tucker to create ULTRA-FAN, a magazine devoted to the world of Japanese Sci/Fi television. Focusing on television hits like Ultraman and Kamen Rider, the concept quickly caught on, and ULTRA-FAN expanded Daikaiju Publishing’s steadily growing readership. Thanks in part to a generous donation by Video Daikaiju, G-CON’96 saw the first American appearances of “The Men Who Played Godzilla,” Haruo Nakajima (who acted in the role from 1954 until 1972), and Kenpachiro Satsuma (who donned the Godzilla suit from 1984 until 1995). With over 1300 attendees G-CON’96 became the largest gathering of kaiju fans in North America to date. Since then G-CON® has featured such renowned Japanese guests like Kenji Sahara, Akira Ifukube, Hiroshi Koizumi, as well as serving as the model for other Japanese Sci/Fi conventions like G-Fest, Kaiju-Con and The Asian Film Expo. 1996 also saw Daikaiju Publishing release its second book, Guy Mariner Tucker’s Age of the Gods: A History of the Japanese Fantasy Film, which quickly became the industry’s standard reference resource. In 1997 ULTRA-FAN renamed itself as KAIJU FAN, covering the entire world of Japanese science fiction fantasy, as G-FAN began to tailor itself to the younger fans of the genre. In October of that year, the KAIJU FAN editorial staff ventured to Japan and Toho Studios, where they secured the appearance of Yoshio Tsuchiya (the Controller from Planet X) as well as Satsuma and Nakajima for G-CON’98. 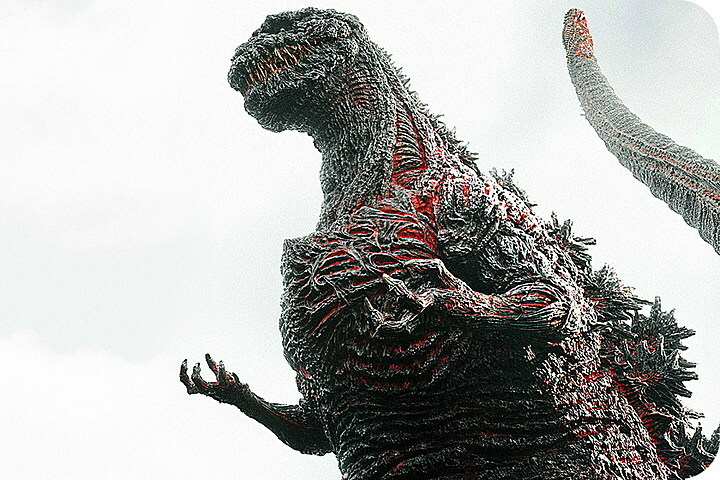 In addition primary location filming was completed at Toho Studios for the Daikaiju Production’s documentary; Filming Godzilla: The Making of a Legend. Unfortunately the production never was completed. 1998 saw fandom reach a frenzy pace, as fans all over the world prepared for the release of the first American produced Godzilla film. In anticipation of this event, KAIJU FAN acted as consultants for several industry productions connected to the release of the TriStar film, as well as holding the first live Internet chat with Godzilla suitmation actors Satsuma and Nakajima, and hoisting a special free screening of TriStar’s Godzilla, featuring the two Godzilla suit actors as honored guests, during G-CON’98. In addition to the TriStar release, May of that year saw the first international kaiju convention, as G-CON’98 and EURO G-CON occurred simultaneously and interacted via the Internet. Unfortunately 1999 saw the enthusiasm for Japanese Sci/Fi Fantasy began to pan out. Reception to the American Godzilla was poor on both sides of the Pacific, and the increased popularity of the Internet and the World Wide Web saw the need for publications such as G-FAN and KAIJU FAN diminish. Both G-FEST (held in Los Angles) and G-CON’99 (held in New York) saw modest attendance, and soon the decision was taken to end publication of the magazine. However one final chapter was still to be played out. In conjunction with the first U.S. theatrical release of a Toho Godzilla film in 15 years; Godzilla 2000, American fans were treated to the first ever, totally virtual, kaiju convention: G2K Virtual Con. Hosted by Project G and KaijuFan.com, “attendees” worldwide logged into discussions, chat rooms, message boards and participated in a varying array of contests. With over 500 worldwide taking part, it is still the only convention of its type to date. The new millennium saw the end of KAIJU FAN’s publication, as plans for Issue 12 were scraped, and both Robert Biondi and John Roberto “retired” from the fandom to pursue academic endeavors. The last ever G-Con, G-CON 2000, was held back at the convention’s roots of Chicago as a free event. As it had been with the original ’94 meeting, G-CON 2000 was an intimate gathering of Godzilla fans, and was highlighted by a special screening of Godzilla 2000. 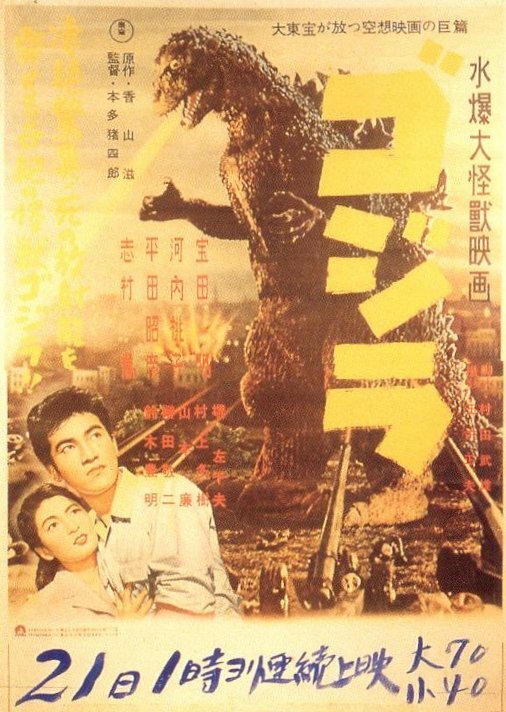 October 2002 saw the interest in Japanese science fiction pick up, as both John Roberto and Robert Biondi were interviewed by Mado Productions for the Fuji TV documentary “2002: The Challenge of Defeat.” The program, which aired in Japan, follows the Japanese recovery after the Second World War and included a sequence on Godzilla. Both John and Robert were honored that they were ask to represent the American view-point on this Japanese pop icon. 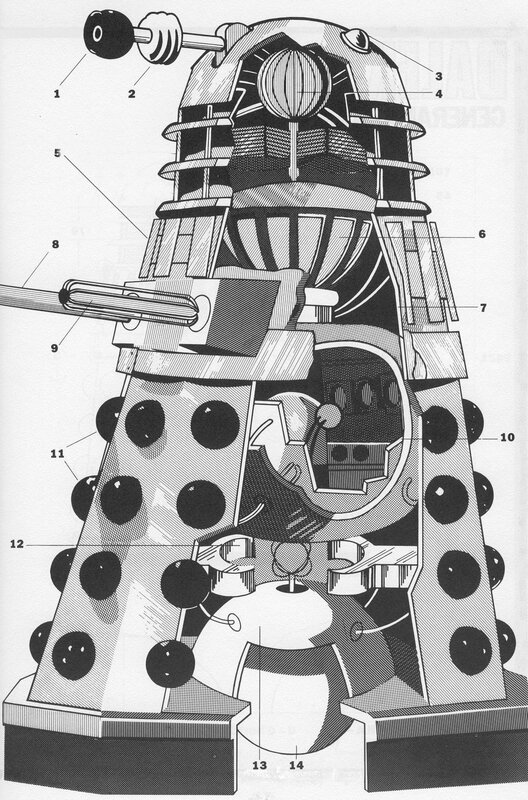 In December 2004 both KaijuFan OnLine, and the Dalek Empire web sites moved to their permanent homes at The History Vortex. Created by John Roberto the purpose of the new site is to present both historical as well as cultural articles on historic topics ranging from the Decline of the Roman Empire to the American Civil War. The historical articles from both the old web sites have now been moved to the home page of The History Vortex, while the more fan related articles remain within their perspective sub-domains. With the 50th anniversary of Godzilla being celebrated in November 2004, KaijuFan OnLine continues to represent the very best that G-FAN and KAIJU FAN magazines had to offer, completely free of charge on the World Wide Web. With Robert Biondi and John Roberto acting as consultants and providing new articles, and the vast wealth of material from the Daikaiju Publishing archives, KaijuFan OnLine will continue to serve as “America’s Home of Japanese Science Fiction Fantasy,” for years to come. We hope you enjoy. John Rocco Roberto holds a Bachelors in History, and a Masters in Liberal Studies from the College of Staten Island of the City University of New York (CUNY). He is currently working on a Doctorate in History. An active member of the Association for Supervision and Curriculum Development (ASCD) and several historical societies including the Staten Island Historical Society, the Civil War Preservation Trust (CWPT), and the Organization of American Historians (OAH), he has lectured (along with Robert Biondi), on Japanese pop-culture and the Atomic Bombings at several academic sites, as well as being featured on several Japanese Pop-culture related television programs including the Fox Network morning program Personal FX, and the Fuji Television documentary 2002: The Challenge of Defeat. Roberto currently holds the position of Chair of the History Department at the Nelson A. Rockefeller Academy. Robert Biondi holds a Master in Science Education from Bernard M. Baruch College of the City University of New York. He has written countless articles for Action Figure News and Toy Review and continues to be a contributing writer to KaijuFan OnLine. His many articles include a novelization of the 1954 Godzilla film and interviews with Toho actors Kenji Sahara and Yoshio Tsuchiya. Strongly interested in history, he is also a member of the Green-Wood Historic Fund, the Civil War Preservation Trust, and the Napoleonic Alliance. In 2002 he appeared with John Roberto in the Fuji Television documentary 2002: The Challenge of Defeat. Biondi currently holds the position of Associate Program Officer of the Clinical Doctoral Programs at The Graduate Center of CUNY. J.D. Lees co-authored the Official Godzilla Compendium with Marc Cerasini. He continues to publish G-FAN sporadically, and lives with his wife and two daughters in Manitoba, where he teaches high school science.